Raise your standards and sail above the waves at 40 knots in full comfort. 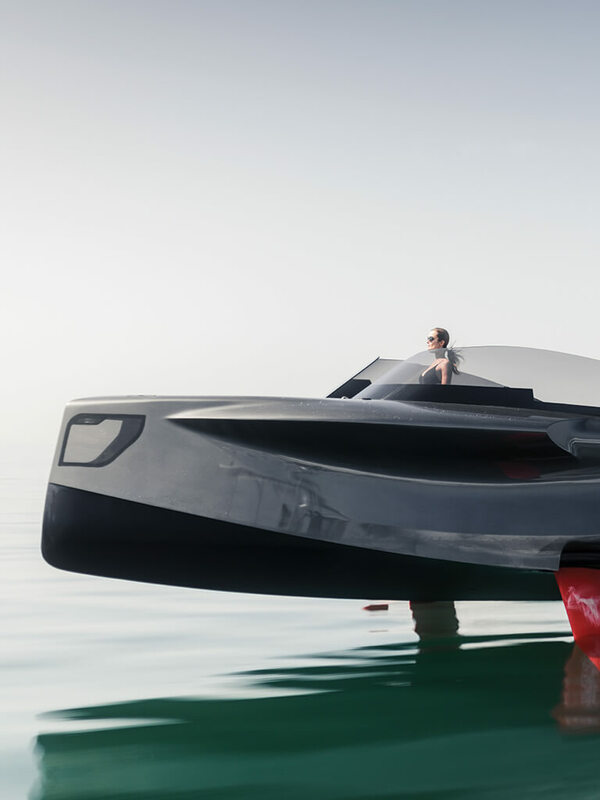 Beauty meets science in the 2019 evolution of the FOILER. 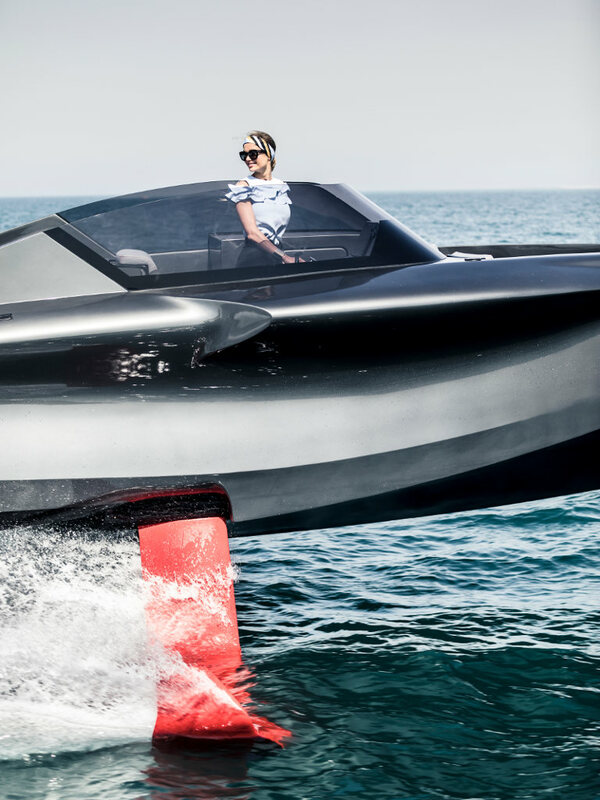 With a novel 740 hp hydrostatic propulsion system and ENATA's custom torpedoes, the FOILER continues to revolutionise the way you explore the seas. 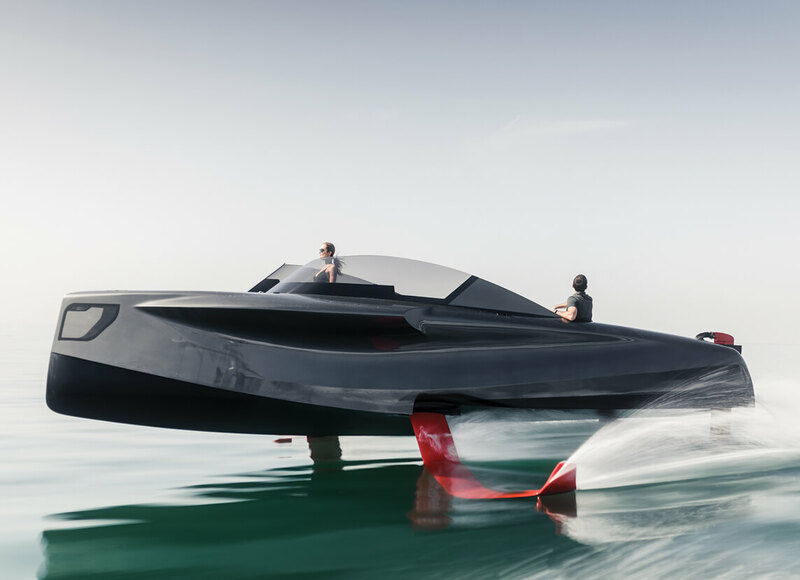 The hydro-foiling system enables the boat to fly 1.5 metres above the water, providing an unmatched experience where speed and reactivity are the centrepieces. Experience a unique sense of tranquillity and comfort at high speeds. 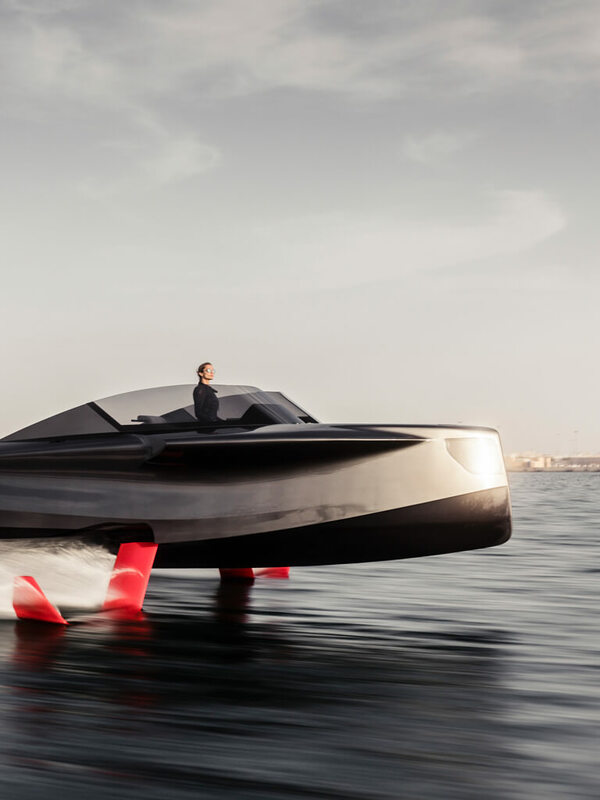 Anchored in the water by four powerful foils, the FOILER is both extremely stable and immune to wave interference. 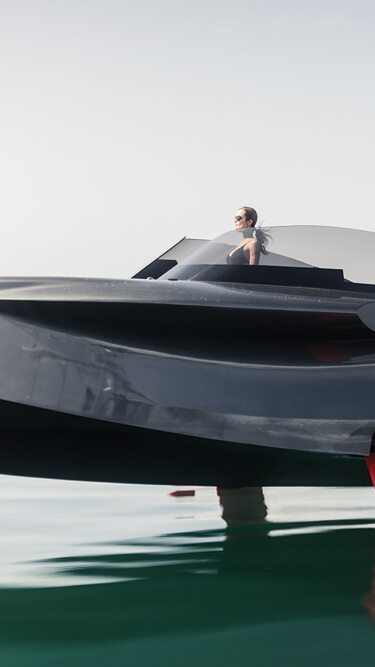 Driving the FOILER is surprisingly easy and effortless, and the subtle luxury will make any sailing session a relaxing and memorable experience. Voyage into luxury in complete serenity as you experience something new. 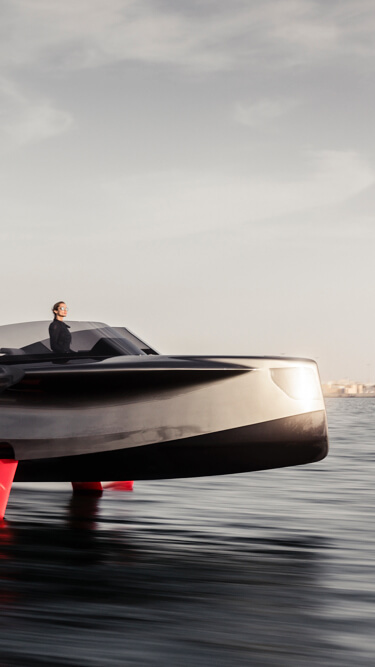 The FOILER glides above the water, while her retractable foils and futuristic design deliver a unique presence and bold extravagance. FOILER will create a little drama in your life and turn heads - but who wouldn't want that?